Wait, I’ve been doing this for HOW long? I’ve been asked more times than I care to count about how I started a career in photography, especially about how and why I started shooting on film sets. It’s definitely not a typical lifestyle that many people would willingly pick, there must be a super interesting and cool reason, right? Maybe. Generally I’ve avoided posting old work and discussing my previous non-movie related photography. Partially out of avoiding confusion about what I currently shoot, partially out raw embarrassment and not ever wanting to display old photos that today I wouldn’t consider shooting, let alone display for people to see. With that said, I was astounded / disturbed out when I realised a couple of weeks back that I’ve been taking photos in one capacity or another for about TEN years now. It’s very difficult to state a time frame where I started to consider myself professional, but with a full library of everything I’ve ever shot, I can look back and see where I started taking photography seriously. Things have changed a hell of a lot since I was an ikkle 17 year old kid. Not just photography, the business, and technology, but myself as a person. While I don’t allow the role of photographer to define myself as a person, I cannot deny that photography has absolutely been a core part of my adult life and has heavily affected many life changing decisions I’ve made down the road. I reckon that it’s worth sitting down and spending some time discussing the lessons I’ve learnt as a photographer and as a person over the past ten years. I feel that it’s something of a responsibility to pass some of my experience down to younger people who want to take a similar path to mine. But how do I write about all this in a meaningful way that people won’t glaze over and ignore? The hazy cloud of deep nostalgia is very difficult to navigate on your own. This is a difficult task for one man, so I’m asking for thoughts from everyone who’s mildly interested. I want to hear what people would like to hear. I’m hoping that feedback will help me to construct an interesting format that’s actually worth reading, and contains more insight than me simply, begrudgingly digging up the past. If you have a question, or if there is something you’re curious about, email me at marc@marchankins.co.uk. I’m mega keen to hear all of your thoughts. Below is a tasty teaser at what ten years of hard graft can do to a creative persons abilities. 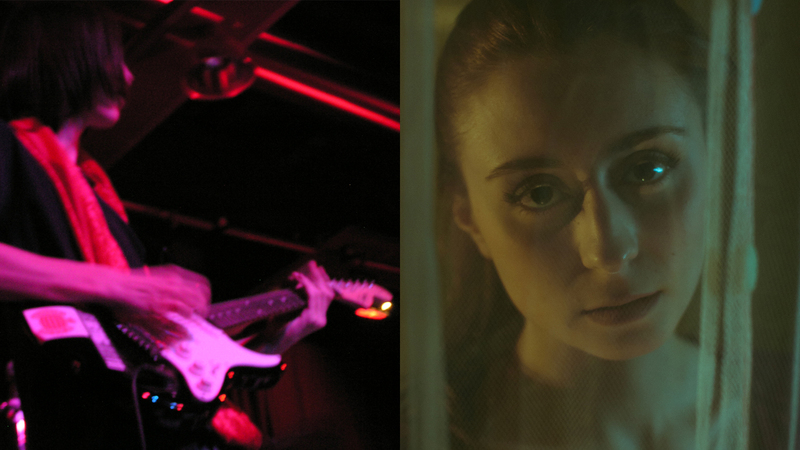 On the left is a super early photo of a local gig I shot on 2004, on the right, a portrait I shot in 2014. This entry was posted on January 25, 2015 by marchankins. It was filed under Art, Career, Creativity, Photography and was tagged with Art, Career, Photography.